Just ONE WEEK FROM TODAY, Crossed Genres releases our anthology Subversion: Science Fiction & Fantasy tales of challenging the norm! Continuing the series of the authors’ personal experiences with subversion is Timothy T. Murphy, whose story “Received Without Content” appears in Subversion. In the following video he talks about campus activism. 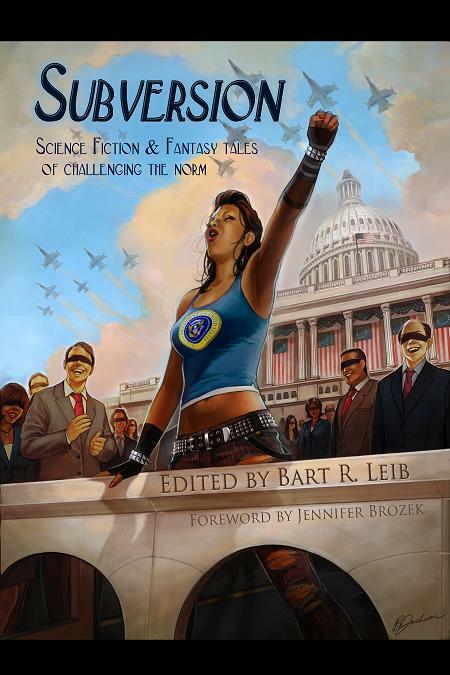 Subversion will be released on Monday, December 5! We’ll share one more video of an author’s subversive story that day! Kay T. Holt: The Pajama Revolution!